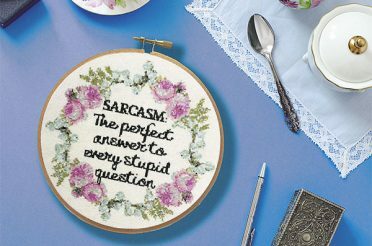 Have you ever looked at beginners cross stitch projects and didn’t even know where to start? Or do you have friends that look at your projects longingly saying “I wish I was that talented”? 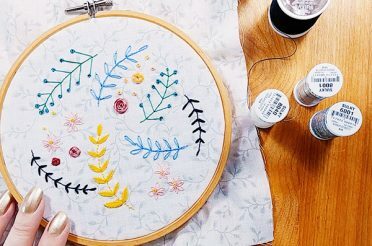 Whether you need some beginners cross stitch tutorials for yourself or someone you know, this guide will help you learn everything you need to know to get stitching straight away! This collection of tutorials and tips is a roundup of some of the most popular tutorials for beginners. If you’d like to see more information on any of the topics, click the title to be taken to the full blog post. 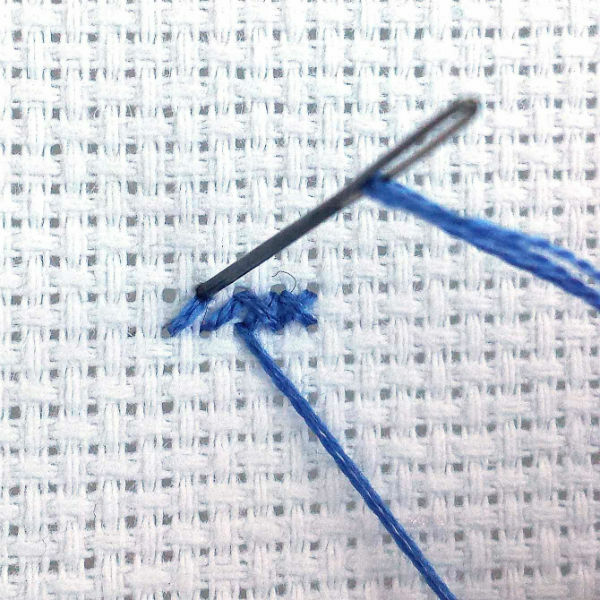 First off, the video below shows a quick overview of how to cross stitch. I briefly discuss how to do the loop method to start (as well as just using a simple knot if that’s easier), and how to do full cross stitch and backstitch. 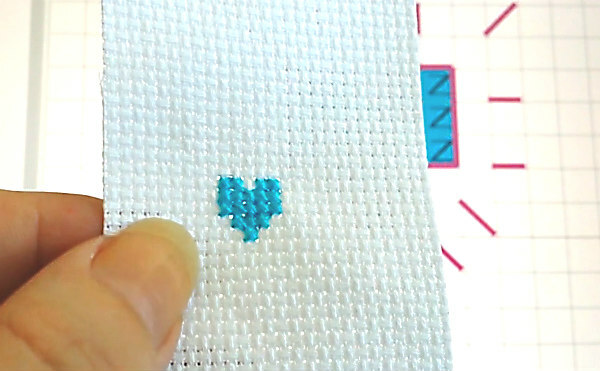 In this video, I demonstrate with the simple free cross stitch pattern Tiny Heart how to follow a cross stitch pattern. 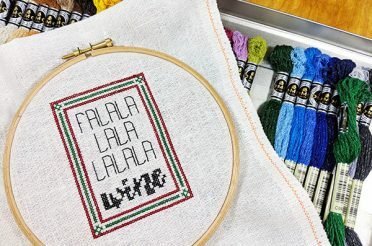 Most Peacock & Fig patterns use only full cross stitches and back stitch, so by learning these simple stitches you can stitch almost all of the patterns in the cross stitch pattern shop! So start with this brief video, and then if you would like more information, see below for more detailed videos! Any links I mention in the videos are listed at the bottom of this post. In the video below, I go into more detail about the materials that you need to start stitching. 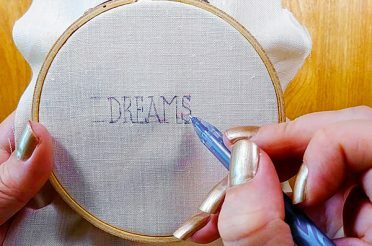 Cross stitch is such a simple craft and you only need a few basics to get started with a beginners cross stitch project. 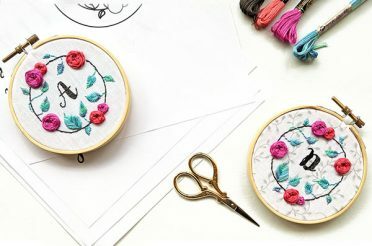 Cross stitch fabric, tapestry needles, embroidery floss and scissors are your basics, and I also demonstrate a few different ways to hold your fabric such as embroidery hoops and scroll frames. If you’re unsure of how to form a cross stitch itself, this video shows more details about how to do that. In cross stitch you’re making two small diagonal stitches / and \, and overlapping them so they make an X. There are two main methods of stitching a cross stitch. The English method is when you form one “leg” of your stitch and then the other, completing your stitch before moving onto the next stitch. The pictures below show the Danish method, which is doing one half of your stitches in one direction, and then coming back and finishing the top half of the stitch. There is no right or wrong method, you can try both and see which method you prefer. Click here to see a full tutorial on the English versus the Danish method. In cross stitch it’s good to practice having your top stitches always going the same way. It doesn’t matter which way you prefer (/ or \), but if you form the habit when you first start stitching it’s a lot easier to always do it that way. You want your top stitches facing the same direction as they reflect the light more evenly across the piece once it’s finished, so the colours look uniform. Once you have practiced your basic cross stitch a bit and you’re comfortable with it, the next thing you will want to do is practice with a pattern. In the video below you’ll see what a cross stitch chart looks like, and what the symbols mean. 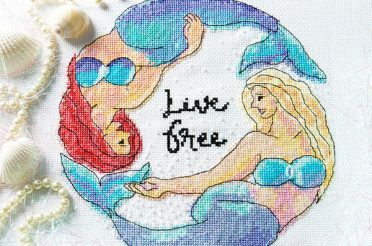 Here is the blog post with the free cross stitch chart featured in the video. For your first cross stitch project, just make sure you have enough fabric to stitch the design. The finished size is usually indicated on patterns. The little free pattern featured in this video is approximately 1 ½” square (4 cm) on 14 count fabric. As long as you have a few inches spare around the edges, don’t worry too much for your first project about getting it centred on the fabric. There’s another video tutorial showing you exactly how to do that below in this post, or you can see the tutorial about how to centre your fabric here. 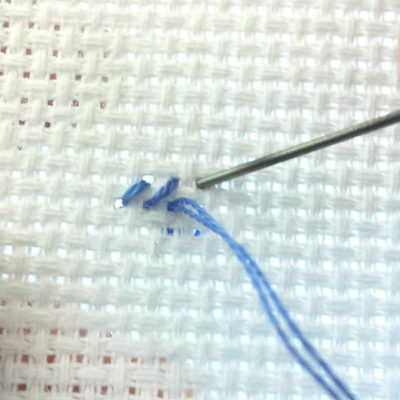 One stitch that is very useful for cross stitch beginners is backstitch. 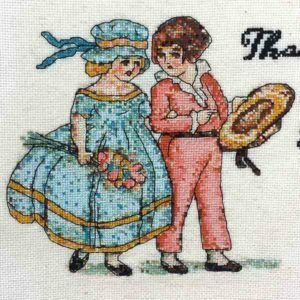 Backstitch is found in many cross stitch patterns. It’s the (usually) thin black lines that give details to a design, such as whiskers, facial expressions, and outlines. 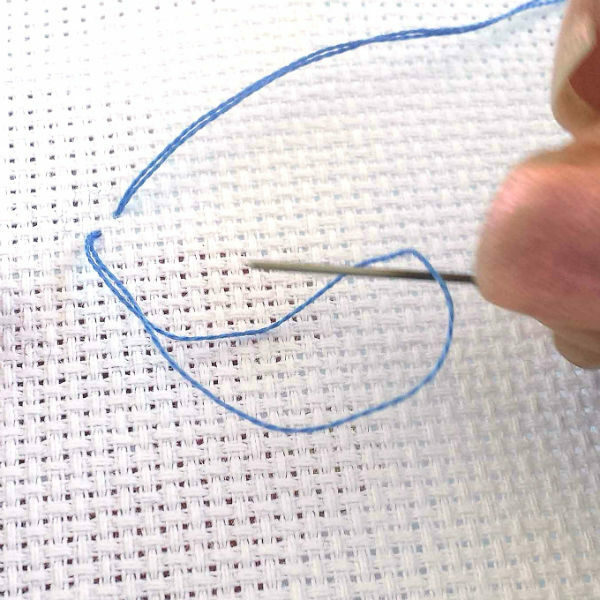 Here is an image of stitching the backstitch in the That’s What She Said cross stitch pattern — it really brings the pattern to life. Backstitch can also be used for writing and text on the pattern, or even signing your initials in the corner of a completed piece. It’s a very simple stitch, it just takes time to do. 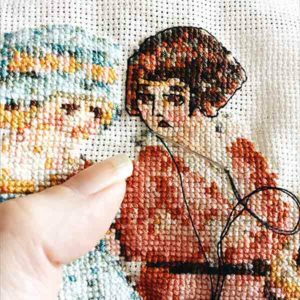 You stitch the backstitch after the cross stitch is done (as sometimes it crosses over your cross stitching), and many stitchers prefer to leave it to the last part of their project. The last thing important skill in this beginners cross stitch series is learning how to wash your cross stitch at the end of your stitching project. The video below shows you the easiest way to do this, so it won’t take you long at all. No matter how careful you are with keeping your hands clean while you stitch, oils from your hands will always transfer to your floss and fabric. Over time these oils will start to turn your project yellow, and eventually it will start to deteriorate. To protect all the hard work you just did, the best practice is to wash your pieces before you finish them or frame them. Below are three videos to help beginners get more out of their stitching projects. These will give you extra skills to boost your confidence as a stitcher, and help you progress to more advanced skills. 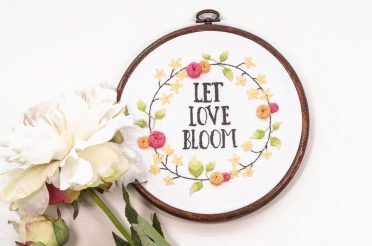 Cross stitch is a very simple craft, but there are many techniques and tricks to make stitching more enjoyable and improve how your finished product looks. 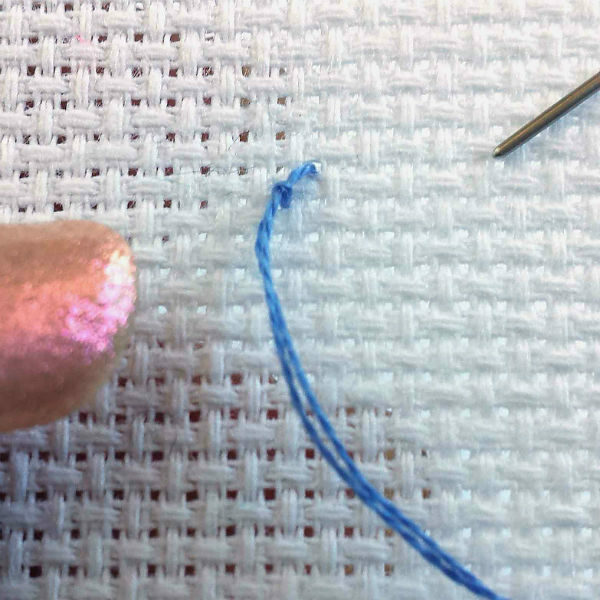 The video shows how exactly to do this, and shows how to use a pin stitch to end your thread. You can also use a pin stitch to start your thread, it’s a really versatile stitch! For a small pattern, as long as you have enough fabric it’s not really important whether you get your stitching exactly centred. As in the little Tiny Heart key fob pattern demonstrated in the first video, sometimes you’re going to trim the project close to your stitching so you don’t need to have a big margin. But if you’re working on a bigger or more complex piece, it is very important to make sure you’re starting in the right place, and that your pattern will be centred on the fabric when it’s stitched. Otherwise, you could run out of room for framing or finishing. You could even run out of fabric if you accidentally turn the fabric lengthwise instead of horizontally when starting to stitch, or get the pattern too far off centre. I’ve seen photos of projects that have taken months to get to a certain stage, only to have the stitcher end up in tears because they will run out of fabric as they didn’t centre their piece properly when starting. The video below will show you a few quick tips about how to make sure this never happens to you, and what size margins you should add onto your fabric before cutting it or starting stitching. You’re entering the stitching into a competition or fair where the back will be judged. You’re using very sheer or delicate fabric. Lumps and tangles on the back will be seen from the front when framing. You could use up a lot more floss if you carry your threads too far across the back. Other than these reasons, please try not to be critical of what the back looks like. In the video you’ll see some examples from my own stitching, and from an embroidery artist who celebrates what the back looks like. If you find having a neat back relaxes you, then please do it, but otherwise don’t stress about it. The whole point of stitching is to relax and enjoy the process. Below you’ll find a few links to help you learn more skills! If you subscribe to the Peacock & Fig YouTube channel, you’ll be notified of when new video tutorials come out! There are several playlists in the channel (including the beginners cross stitch playlist listed below). If you have any questions or would like to learn a technique that’s not covered in the videos, please leave a comment below! 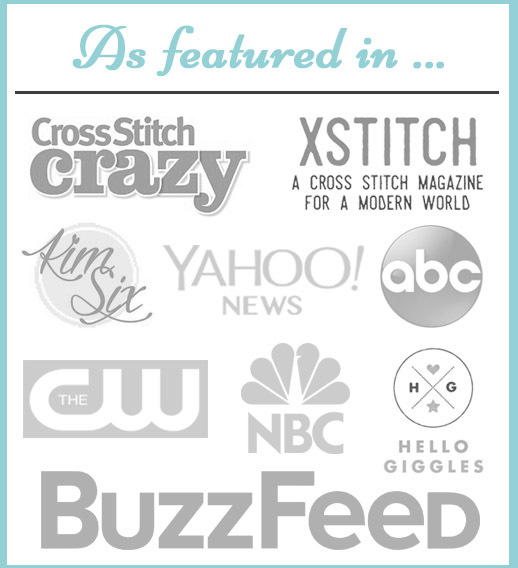 If you enjoyed these videos, please share this post with your friends, and share the stitchy love! Happy stitching! 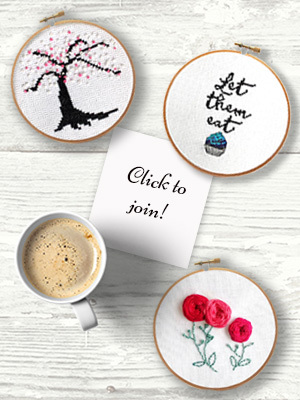 Have you ever looked at beginners cross stitch projects and didn't know where to start? 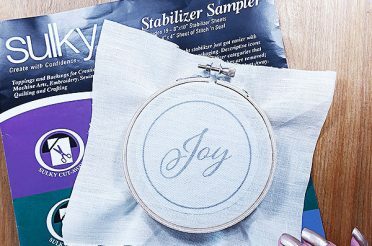 This complete tutorial will get you stitching in no time! Hello. Thanks so much for the tutorial! Especially the starting/ending loops – wonderful! I just decided I wanted to learn and picked up a pattern on Amazon trying to follow some YouTube guides but the question I’ve got that I can’t seem to find an answer to (and it may be I’m not explaining properly) … how far should I skip, at max, in a stitch with one color? Wondering if there’s some “rule of thumb” that I should be using – ie: don’t start a new stitch more than 5 “squares” away or something? And if so… what do you do if you have just one stitch – can I still “loop lock” and “pin tuck” my ends? It’s my first one so I’m not worried about running out of floss as I know I can get more and I know I probably will due to growing pains as I learn how to best keep it from getting tangled and such… but more for making sure I’m not going to create a larger problem in the back (or habits picked up) as I get more comfortable with this or decide it’s worthy of display when/if I finish it. Hi Dana, i have enjoyed all the comments you and readers. .My question is, when you put your project in a frame to display,can you use a frame with glass? I have a design that covers the full piece of fabric so I will start in the left hand top corner as you suggest. Next dumb question, do I start in the left corner and stick with the same piece of thread wherever the next stitch of that color is? or do I rotate through thread colors starting at the left top corner and moving from one stitch to the next changing colors each time a different color is shown in the pattern. Loved your videos. Thank you! I had a question about back stitching a finished project. I had a pattern made from a photo using a computer program. After finishing the project, I realized that the pattern did not indicate where I should outline. This is a picture of a dog and I’m having a lot of trouble trying to figure out where I should outline the project. Do you have any suggestions, tips, etc? I’ve always used kits so this is a first time for me being on my own. Thank you so much! This is a great option for me to try. Frankly, I took on a project I am probably not qualified to do at this time. I’m thinking it might look better without outlining it because it may ruin the whole project if I mess it up. I am definitely going to outline it on a copy of the pattern to see what it will look like. Thanks again! Hi, I bought a cross stitch kit that requires 3 threads to be used, but I have no idea how to do that. I know for two threads you use the loop method, but what about 3? I just wanted to reach out and say thank you! I’m just getting started on cross stitching and your beginner’s videos really cleared up my questions and concerns. I’m definitely going to make your peacockandfig site my go to place. Your instructions are clear and your advice will be heeded by me. I am using a legend that is labeled full and 1/4 stitches. I know what color of thread to use but not sure which stitch to use. Can you help me? Hi Dana, thank you so much for your videos. Can you please clarify something for me? When you thread a needle, are you supposed to pull it all the way through so the ends meet? Or only partially through? I know this is an odd comment, but where did you get the salmon pattern you showed in one of your tutorials? Modern Cross Stitch Pattern and Cross Stitch Kit at Doityourfamily. I spend almost my free time for all kinds of crafts, especially crochet, embroidery and sewing. I am using an 11 count cloth says we use 3 strands embroider, 2 strands. Does this mean use 3 strands or two to sew with? I used two but it is not covering up the stamped pattern can you help me? I love all your videos! You helped me learn how to cross-stitch and now I am hooked! 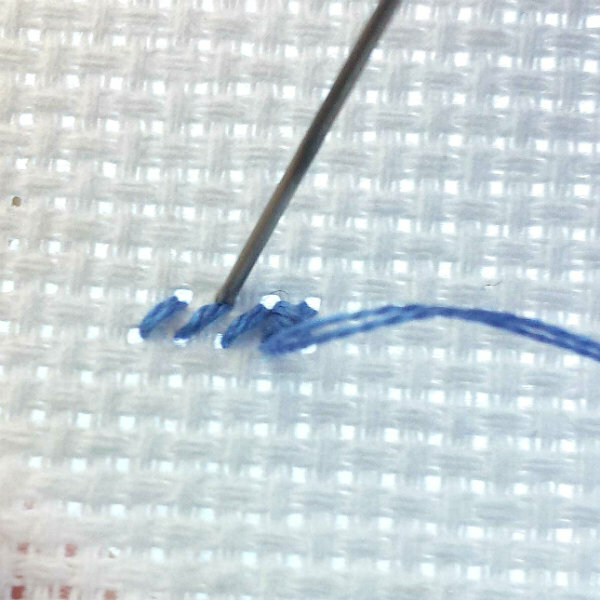 I was wondering if you had already wrote a blog or created a video about how to put the tread in the needle for backstitch, 2 treads, 3 treads. You showed the loop method in one of your video and I cannot figure for the life of me how to insert the tread in my needle. Thanks for your help and your very helpful and wonderful tutorials! Hey Dana! I love blogs and videos of cross-stitch for beginners. I also love one men also cross-stitch, embroidery and texture designer. Can you do more videos on manbroidery. I am also a beginner cross-stitcher and as you may have guess I am a proud male to say that a cross-stitcher.